You’ll always get the highest-quality video, lowest-latency gameplay, and least interference when streaming over a wired Ethernet network. If possible, connect both your Windows 10 PC and your Xbox One console to your home network with Ethernet cables. 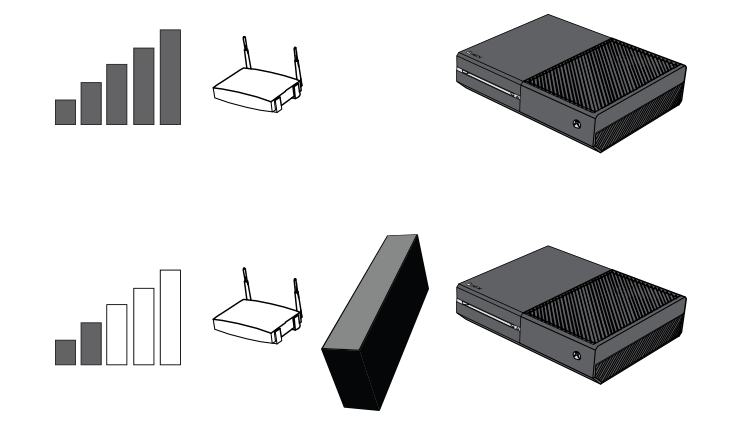 The closer your Xbox One console and PC are to your router, the better the connection. Choose a central place for your wireless router. Walls, floors, and metal objects all can cause interference. Many wireless electronics such as cordless telephones, microwave ovens, baby monitors, and garage door openers use the 2.4 GHz band. Active interference is caused when other electronic devices are broadcasting either a wireless signal or some other form of electromagnetic interference. Common causes of active interference are microwaves, ovens, air conditioners, CRT televisions, wireless headsets, baby monitors, other wireless networks, cordless phone systems, and wireless speakers. Note Many other electronic devices can also cause interference. Try to minimize potential interference by removing any electronic devices between your Xbox console and your wireless router. Passive interference occurs when a wireless signal passes through objects. This causes the wireless signal to be weakened and refracted. Materials that cause passive interference include concrete, glass, lead and copper piping, insulation, mirrors, gun safes, filing cabinets, tile, and plaster. The wireless signal also degrades over distance. Interference can also occur when the console is too close to the wireless router. The ideal distance from the wireless router for the Xbox One console is between 5 and 50 feet. You can also move the console or router to minimize passive interference. Moving the devices outside of entertainment cabinets or desks can often help improve wireless signals. Most wireless routers have a channel width of either 20 MHz or 40 MHz available as a configurable option. This could also be shown as “Narrow” or “Wide.” The Xbox One prefers a 20 MHz or “Narrow” setting. Networks using 2.4 GHz have channels 1 through 11 (13 in Europe). A channel can interfere with other channels close to it, so you should always choose one 5 channels apart. The best practice is to select only channels 1, 6, and 11 to minimize channel overlap. Some wireless routers allow you to configure the width of the channel. By selecting 20 MHz or “Narrow” setting, you’ll limit your interference with neighboring channels. You can identify which channels are not being utilized in your neighborhood. 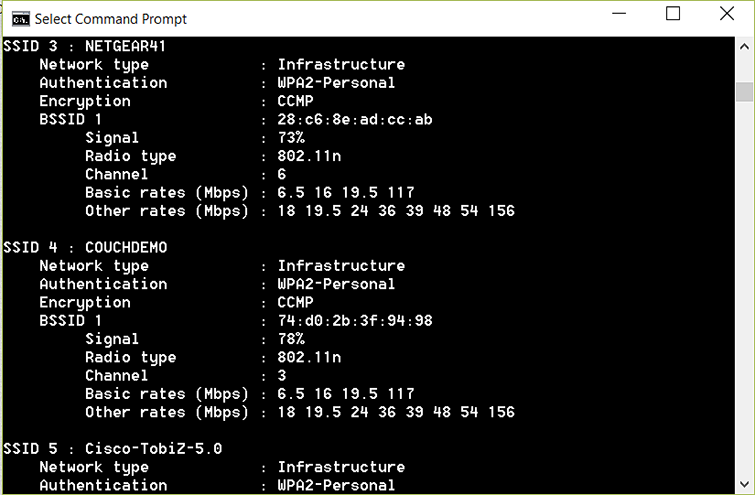 To find a listing of the wireless networks around your computer and what channels they utilize, try the following options. Routers, both wired and wireless, contain embedded software called firmware. The router firmware includes network protocol, security, and administrative features. Routers with older information stored in the firmware may not work correctly. Router manufacturers often provide updates that improve performance, stability, security, and connectivity. Updating router firmware can resolve issues with slow performance or dropped connections. By putting only your streaming device and your Xbox One on the 5 GHz band of your network, you’ll minimize interference from other devices. 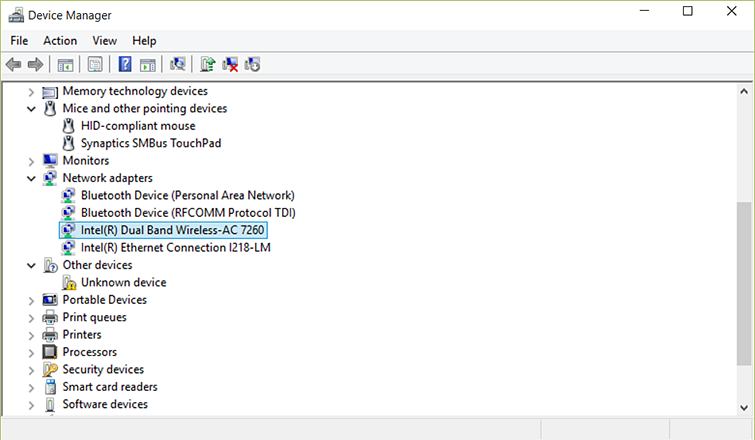 Put other computers, phones, laptops, and tablets on the 2.4 GHz network band. Wi-Fi multimedia mode (WMM) allows your wireless router to prioritize time-sensitive network traffic like game streaming over non-time sensitive traffic, such as web browsing. By enabling this, you’ll improve your streaming games experience. Leaving a browser window open might cause unnecessary Internet traffic, even if that browser window is in the background. File-syncing services such as OneDrive and Dropbox might also utilize your computer’s bandwidth, competing with game streaming traffic.